This is a sinking pencil-type lure which sinks horizontally and has a natural swimming action. The wiggling and fluttering of the body while it is slowly sinking provokes game fish which only seem interested in bait-fish. 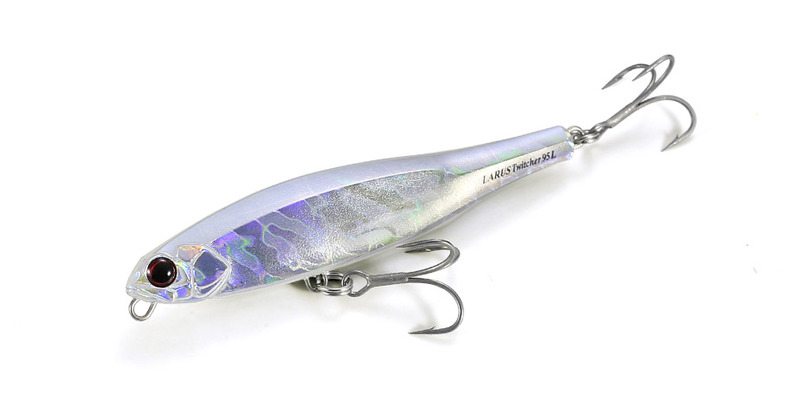 This lure can also produce a realistic sinusoidal wake like that of small prey on the run. If the angler works the rod, it is also possible to produce a flashing effect which will seduce those demanding fish. As it can swim well during slow retrieval, the lure is not only great for offshore fishing, but also productive in seabass territory.